International Events, Technology, etc. No registration or email required to comment. I visited the operational World War II Liberty Ship SS Jeremiah O’Brien (official website) for a day-cruise yesterday and had a phenomenal time. Lunch was decent, seating adequate, nautical tour guide over the PA system phenomenal, and the water, soda, and popcorn were free. I took many many pictures of the O’Brien, the USS Iowa, and the rest of the mothball fleet that we have here in the San Francisco Bay Area. At some point, I will upload all of the pictures to see and perhaps create a photo-essay. 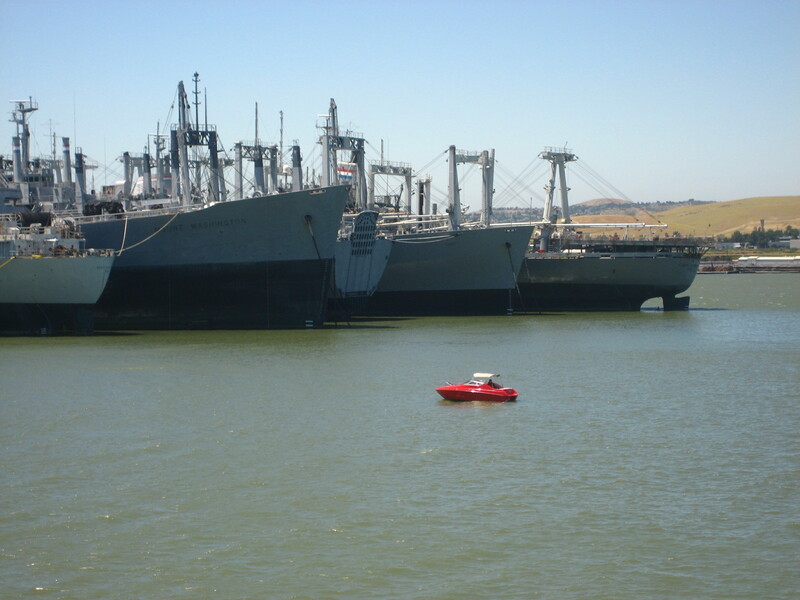 If anyone is interested in seeing the Ghost Fleet for themselves, it is located here next to the Benecia-Martinez bridge and accessible to anyone capable of driving and swimming or of putting a boat in the water and navigating it using a cell phone GPS. Many of the pictures, like the one immediately below, have black areas around the edges. That is because I achieved 24x zoom by placing my cheap 3x zoom digital camera up against a pair of cheap 8x zoom binoculars. Incidentally, a more precise version of that is how microscopes work: if you line a 10x zoom lens with another 10x zoom lens, you are now at 100x zoom. 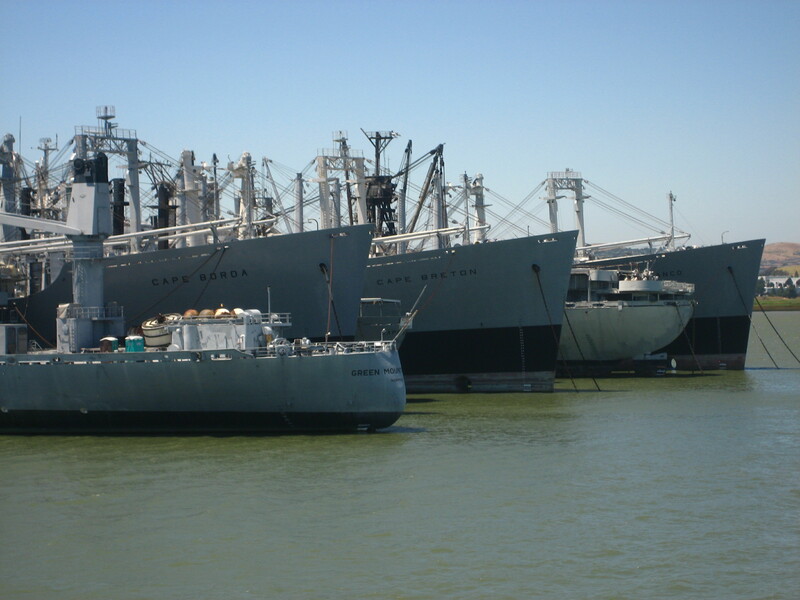 When I was contributing the below image to Wikipedia, I noticed that the SS Mount Washington was not listed as being part of the mothball fleet and corrected the article based on the name clearly visible on the ship below. As we pulled back into port, we saw what I am fairly certain is the Chilean Navy training ship Esmeralda pulling out of port. If that is indeed the ship pictured, it is a fairly unique in being a steel-hulled sailing ship that was built to be military in nature. When navies started putting steel on the hulls of ships, they generally started removing the sails. It was also, allegedly, a floating torture center for political prisoners in the 1970s. ← In Economics, what is specialization & opportunity cost, and why do we try to keep poor countries poor? That is some cool stuff man! 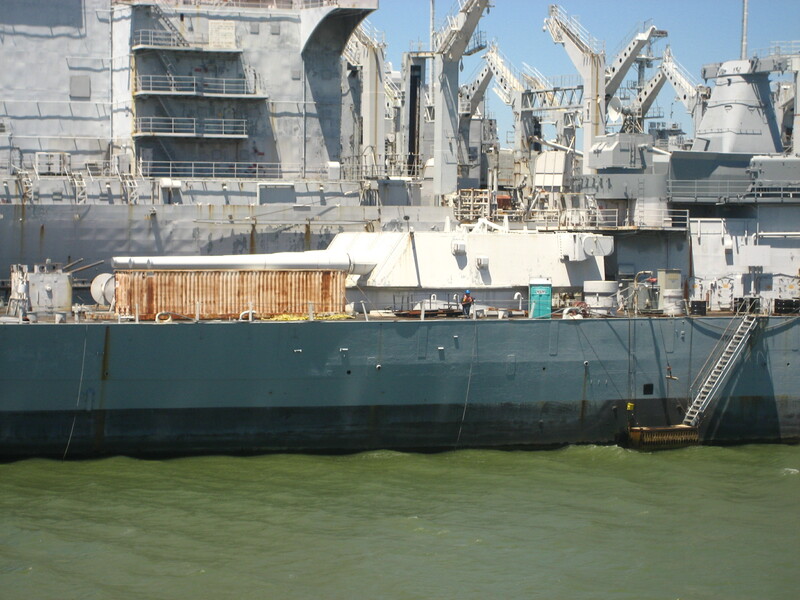 If you ever have reason to drive through Baton Rouge, La, make sure you stop and see the USS Kidd(661), as it is a great destroyer that has been used as a museum, and the cool thing is, that instead of everything being all welded up, they have stuff chained up. They fire the big guns on the Fourth of July, along with warbird mock combat. cool stuff. Also, go check my two vids of my dad’s friends FW-190 cranking up and taxiing on my site, baratariainnovations.com . Not something you see often.